Have you you always wanted to try RVing, but didn’t think you could afford it? 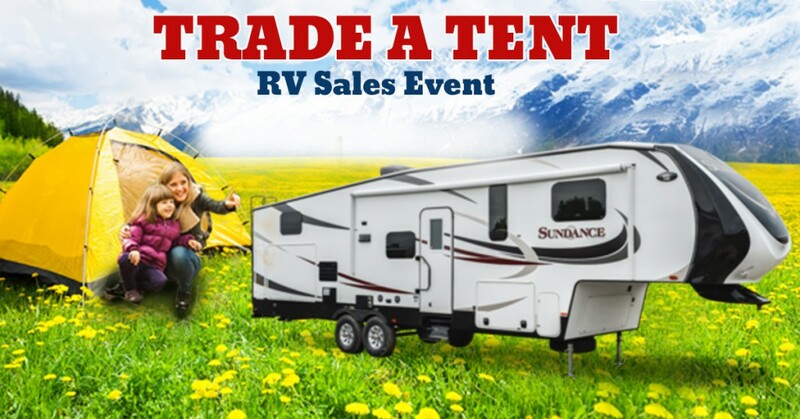 Bring in your old tent now during our Trade a Tent sales event and save on your RV purchase. Here at Wilkins RV we are committed to helping you find the best RV for your needs. Our experienced team can walk you through the buying process and make sure you have a solid understanding of the options available to you. Now through April 30 when you bring in your old tent you’ll receive up to $1,000 off of your RV purchase. There are no requirements for your tent. Simply bring it in and get your discount. Every tent that is donated will go to the local Boy Scouts of America troop. So what are you waiting for? Come on out and get yourself a new RV and do some good. Now is the perfect time to trade up from a tent and into an RV. The weather is warming up, parks are beginning to open and you will love the memories you make with your family. RVing offers freedom unlike anything you ever experienced. You can move at your own schedule. Never worry about lost baggage again or finding the right flight. Checking in and checking out will no longer be an issue. You will love sleeping in your own bed and having a private space. 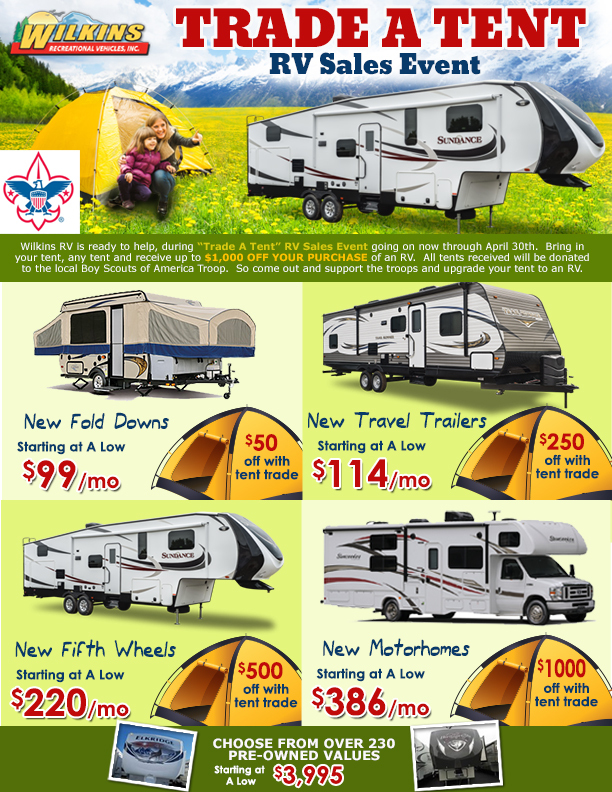 Click the image above to learn more about available units or stop by our New York RV dealerships. We will make sure you find the best RV for your needs.